The CoD: IW beta is now free to download and play (no preorder or beta key necessary). Considering how big a rival it is, I thought I'd open a discussion thread for pros, cons, similarities to RTF2, purchases, whatever. Since it's free, and it's only a few gigs, I'm going to download and play it. Crazy, right? For the love of everything, PLEASE do not turn this into a bash/rant thread about CoD. Also, PLEASE do not enter the discussion unless you have played or are going to play the beta. I've found it easy to just read through Twitter replies and hate on CoD: IW for how bad it is without actually playing the game. Tweets, comments, Twitch streams and YouTube "dislike" bars aside, I'd like for a few RTF people to give it a shot and see what they think. I played a few matches Sunday and Monday via a beta code from a buddy of mine and its not for me. I don't know it something was wrong with my download or what, but the game felt sluggish and clunky to me. I very much was considering buying it but after playing a few matches decided to pass. It could very well be that they were using older code for this Beta, but from what I played I did not like. The shooting felt tight and the TTK was OK, but I could not handle the movement. I'll be picking up TF2 and BF1 for now, maybe COD after a few patches. The series has a very loyal fan base that no matter what will buy the game every time one releases. It's like myself with Battlefield. BF4 was a disaster when it released and took months to fix, but when BF1 was announced it was an instant preorder for me. People will support what they love. I hope the Titanfall games become another instant preorder game for me in the future. Okay, I've played a few matches and have some feedback. I'll make a Pro/Con list. - Awesome graphics. Shiny shiny flashy flashy fancy schmancy. - Wall-running and double-jumping is kind of fun, but there's almost no vertical element to the game so it's more like a fancy sprint than actual parkour. - Plenty of new elements to the series (rigs have individual benefits and perks). Swapping between rigs is a bit like changing classes in RTF2. It'll take some experimenting to figure out which one you like. - Terminal is back, and MW2 fans will be glad to know that the layout is identical to MW2. It just has space shuttles instead of 747's. - AWFUL spawns. I've died four seconds after spawning more than a few times. Turn a corner, shot in the back. The space station map is the worst for this. - Already polluted with quick-scope snipers. The teams I play against usually have at least one quick-scoper who 1HK's everyone. - Slow movement. You're a giant robot, so you move at the speed a giant robot would. If anyone here is mad about RTF2's pilot speed, I encourage you to play this for an evening. I guarantee you will have no complaints. - Body customization is pitiful. A bunch of the different helmets and armors are just the same thing but with a different color swatch that's honestly hard to even see. - Crafting weapons. The whole element of balance with different rigs looking differently is screwed over by having weapons with secret perks. Imagine RTF1 burn cards, but they're permanent. The bad spawning and quick-scoping has already killed it for me. The sluggish movement speed didn't help. I'll probably play it another time or two but other than that I'm not sold. I've bought every COD since the first MW, despite noticing something fishy with the hit detection as early as MW3. It's gone progressively worse with each iteration, and with Advanced Warfare I got a refund from my local retailer, on the grounds of the game beng broken (local conusmer legislation is top tier). I got BO3 after sampling the multi player at a friend's. hit detection was actually OK for the first few months. Now it's almost as bad as AW. The IW beta finally convinced me not to get COD this year. Every gunfight feels like a craps shoot. It doesn't matter who shoots first, the lag compensation is so poorly implemented, that it feels more like a randomize deciding the outcome of the gunfight. I was ready to pay top dollar just to get MWR, but decided not to reward Activision for handcuffing a classic to a below par product. Not that it matters. The UAV is a default killstreak in the beta. You don't get Blind Eye (invisibility to UAVs) until level 18. Games rapidly turned into the other team calling in a UAV, hunting my team down, killing us all, and calling in another UAV for literally the entire round. Idk if that happened before but I don't remember that kind of problem. I wasn't a fan, at all. I thought the graphics were horrible in my opinion, looked very cartoon-ish to me. The game is more slow and sluggish, it's missing that fluidity that CoD used to have. I'm also not a fan of these weapon variants, I think that is absolute garbage. So if someone has a lot of money they can just buy a TON of supply drops and have a chance of getting a weapon that's better than mine, I don't like that pay-to-win model. In one of the drops I got a Sniper that had a trait on it that gave me infinite hold breath duration which gives a massive advantage over someone who doesn't want that. @TrueMH999 Why did you mark the OP as Abuse?? Not abuse in the sense of blatantly insulting or antagonizing others. Rather placing topics in inappropriate sections of the forums. General Discussion is a section used for discussion related to all things Titanfall. This is a topic about the new coming Call of Duty, Call of Duty: Infinite Warfare. There is a specific section of the forum set up for non-Titanfall related discussions. It's called Off-Topic, and is available to non members as well. Placing a non-Titanfall related topic in the General Discussion section of the forums is abusing its frequent visitors. A similar situation would be when someone comments on a popular Youtuber's video and asks for Subscribers. It's not related and it's abusing the fact that it will receive large exposure. @TrueMH999 Should have just said that instead of reporting it. @Sledge70 Any chance you could move this to Off-Topic? The forum guide lines state that forum members should report and not confront, so that's what I did. You asked for a explanation so I gave one. I'll remove the report once it's moved as this isn't attacking anyone or thing, it's merely in the wrong place. first of all, i want to make one thing perfectly clear. i am not a big COD fan, i prefer Battlefield, and when Titanfall 2 releases ill be a Titanfall fan as well. at the same time i dont hate COD. its just not my preferred game. the same way im a Playstation guy but i dont hate Xbox. good competition is better for everybody. i just made these things known so you will be aware that my opinion on COD IW is not because of a inner hate of the franchise or anything. now that thats out of the way here is my honest opinion. 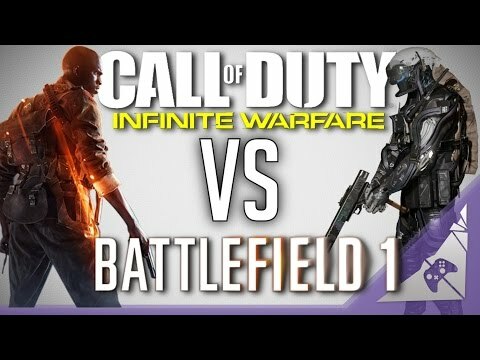 i played the COD IW beta, and i was quite shocked at how bad i thought it was. imo Black Ops 3 has considerably better graphics and gameplay than IW. i only played 1.5 rds and uninstalled it. it doesnt play smooth at all, and i honestly thought the graphics looked almost like a ps3 or xbox 360 game. after my play session, i am more confident than ever that TF2 is going to be VASTLY superior to COD IW. 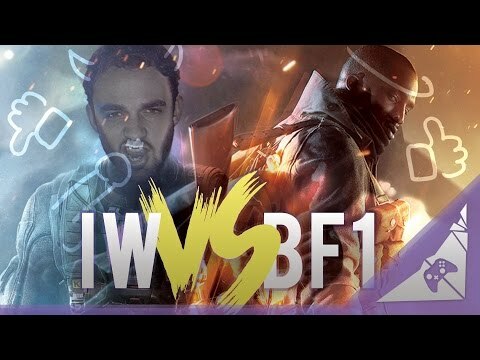 if the COD fans will only give TF2 a chance, i believe IW is in big trouble. and the thing is most of the COD youtubers also seem to be really impressed with TF2, so the word is already out. and like i said earlier, this not a bash session from me on COD. i just really feel that COD IW is that bad. To justify how bad I'm doing already, I'm going to play SWAGG a little while so my terrible KDR makes more sense. SWAGG: Stolen-Weapon Adaptive Gun Game. Plays on any team-based mode. Starting class must have NO primary weapon, with the secondary being either a pistol or a combat knife. You must get a kill (lethal ordinance and killstreaks do not count) and take the killed player's weapon. Your next kill must be by this weapon. Swap that weapon for the dropped weapon from the second kill and continue. You must secure the kill to take the weapon, but you can use assists too if you want to play that way. It's extremely hard to do, especially when UAV's are up and everyone else is using a proper rifle, but it's kind of fun if your KDR isn't important to you. You can do it in any FPS, really. Just don't use your primary. Speaking of Overwatch, they did it right with a free weekend, where the game was 100% free to download and play for a weekend. On top of that, any experience, leveling or loot you got during the free weekend carried over if you decided to buy the game. Pretty darn good move by Blizzard, because I picked up a hard copy about week later. I've been watching uploads in the Xbox clubs. Black op 3.5 whilst attempting to be halo. I honestly don't think i'll ever pick this up and I have every previous cod (unfortunately and really weird from a battlefield vet). By all means if you like it go ahead, I'm not stopping you. But on that same coin you have nothing to sling at both bf1 and tf2. Appreciate the feedback, but I said in the OP that I only want people who have played or are going to play the beta to post. Like I said before, you can look at all the videos, reviews, and dislike bars you want, but solid feedback only comes from actually playing the game. I recommend everyone play the beta, even if it's only one match.